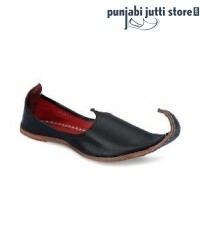 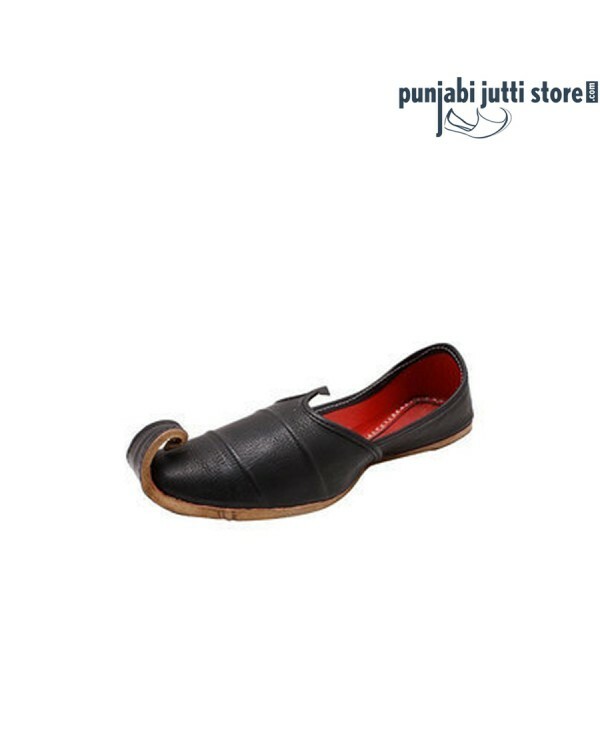 Black Coloured Genuine Leather Punjabi jutti for Men. 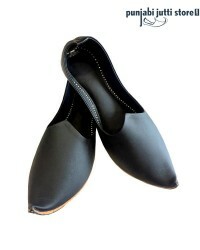 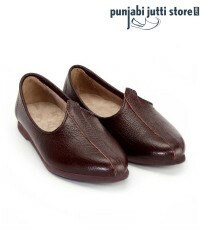 Sleek Finish and Comfortable Sole of this Pair will make your Feet Feel out of this orld. 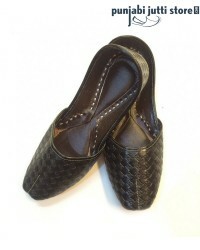 Club this Pair with Turned up Jeans or any Ethnic Look. 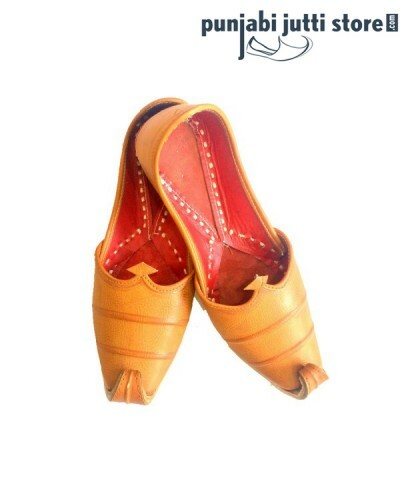 This is a must Comfort Traditional Rajasthani Footwear.